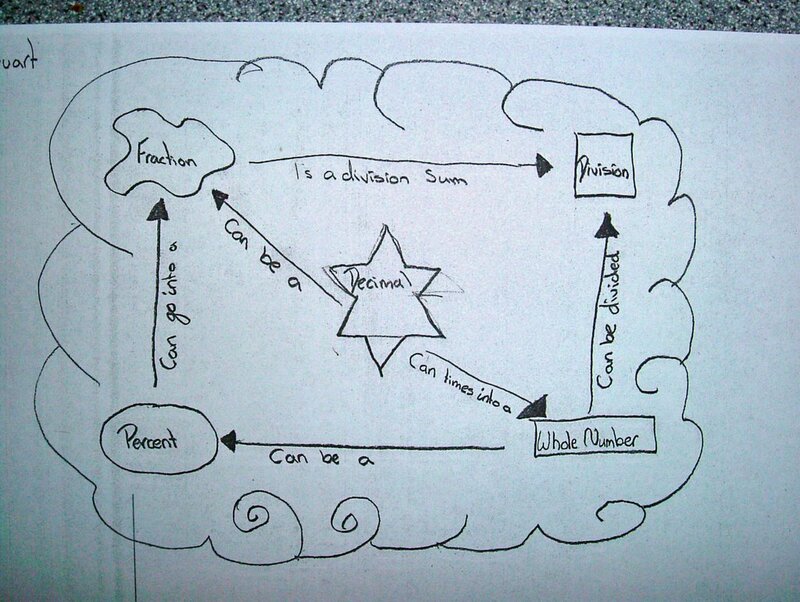 I am hoping to use this blog to improve and assess the pupils' collaborative problem solving skills. 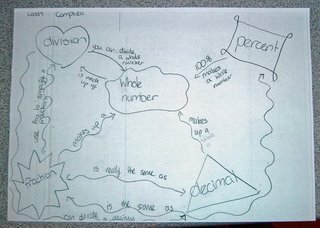 A few of the pupils in the Math class have been revising some work before sitting their level D test again .... so we've all been thinking about fractions, percentages and decimals. 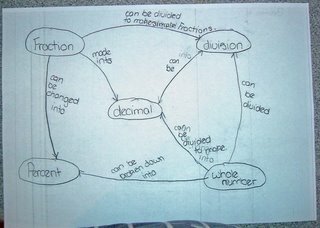 While I worked with the smaller group, I asked the rest of the class to help me with my Charter Teacher studies by producing their own Concept Maps to show the link between these three areas. 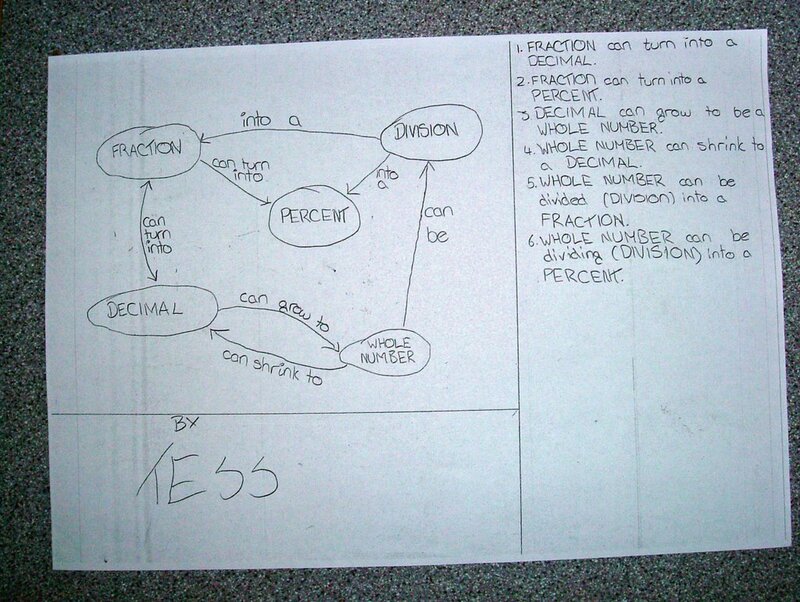 None of us have made Concept Maps, but the pupils kindly agreed to help me with my studies. 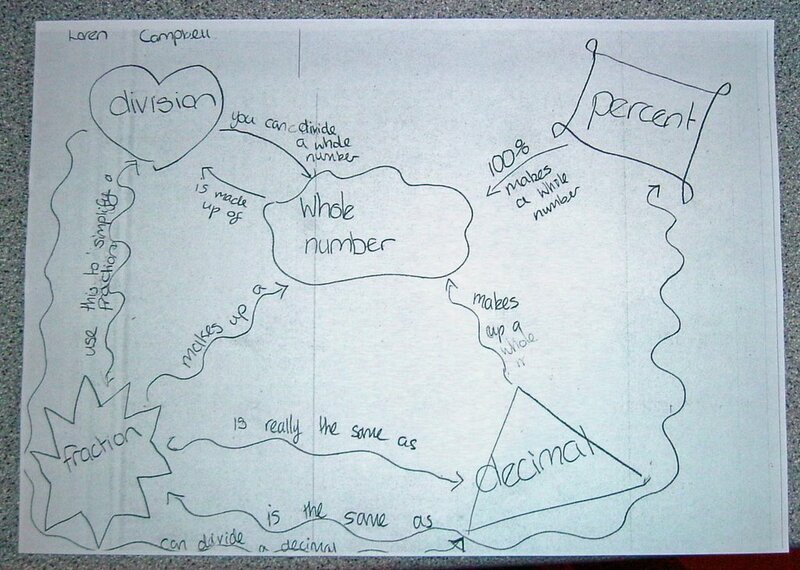 I've included a selection of the concepts maps that were made today. You can click on the pictures to make them bigger. 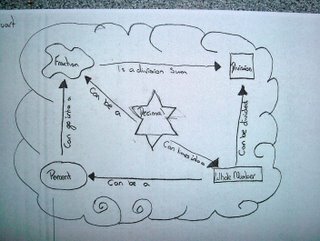 What an excellent way to show the relationship between all these concepts. Do the children think it helped their understanding? 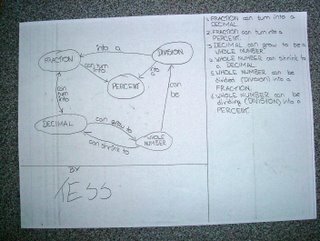 thank you for putting my concept map on the blog i worked hard to make it look nice and i took ages to work out every way the lines could go. 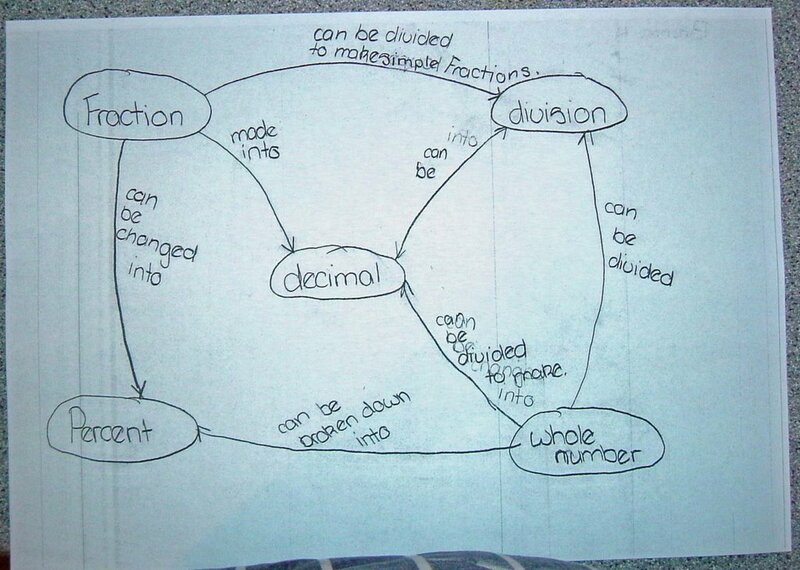 i understood concept maps when u first explained them and i found the cat and dog example really easy but then i had to think hard when we got the maths one. i told my dad when i came home. thanks for putting mine on the blog bye!!!! I am using this blog to let everyone know about the adventures I get up to! First pupil post .... First Parent Post!! The Maths Groups are Named and Up and Running!